How to pour a pint of Guinness respecting both the beer and the customers? 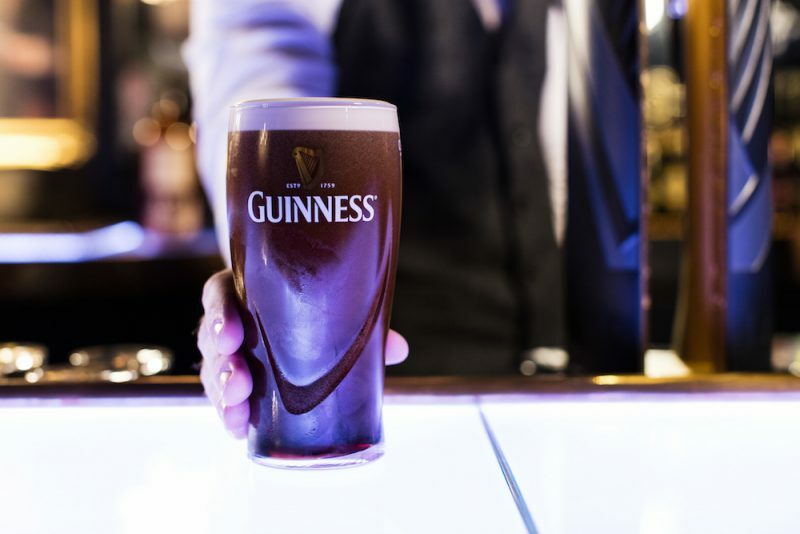 is it possible to pour a pint of Guinness outside of Ireland and serve it like in Ireland? 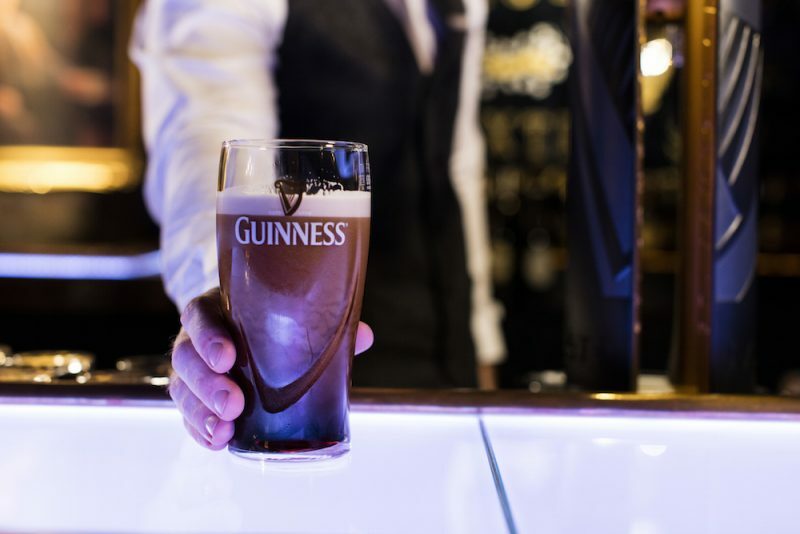 Is it true that pouring a Guinness must follow strict rules? Yep, everything is true and here in Dublin and Ireland? 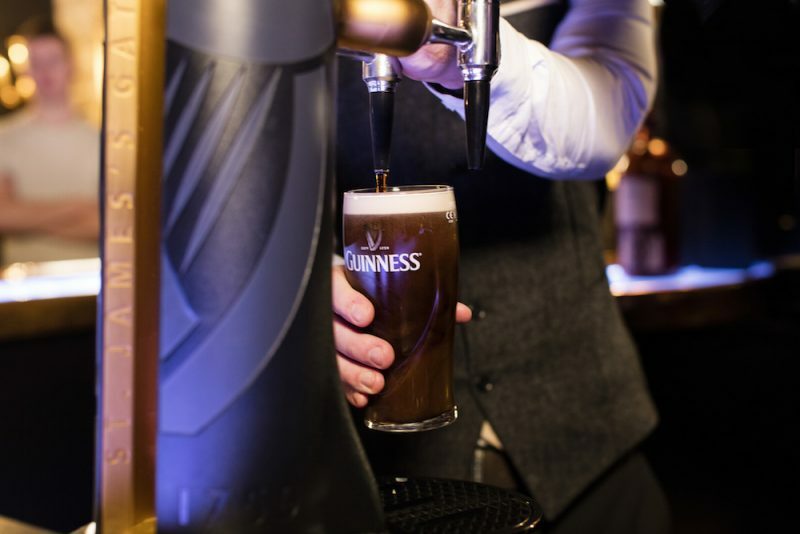 In Dublin and in Ireland, pouring and serving a proper Guinness requires training and patience both in respect of the Guinness itself, considered a national heritage, and of the person who is drinking. 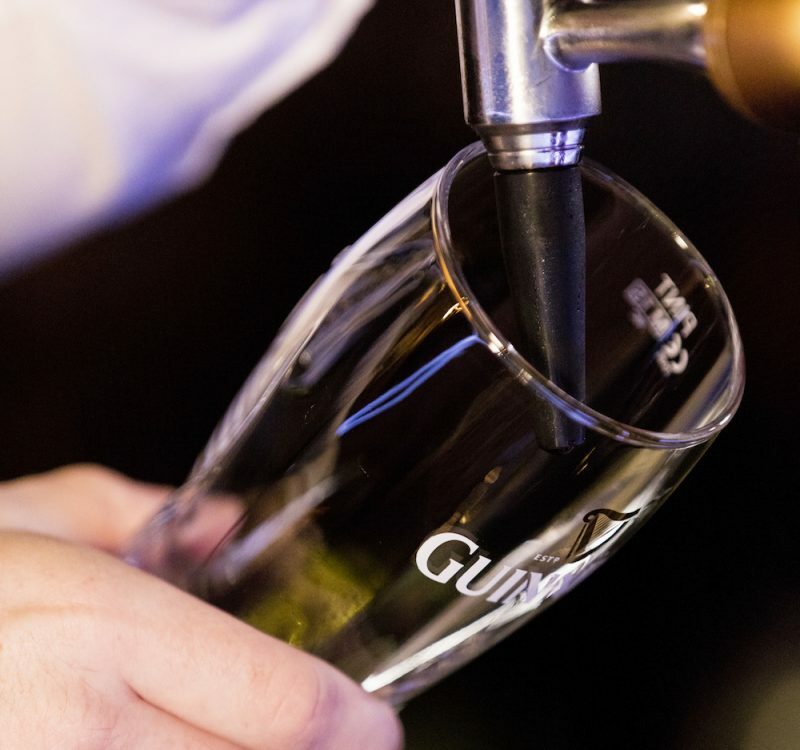 No matter where it’s brewed or served, every single pint of Guinness can be a real experience as every brewer in every brewery is meticulously trained to brew beer the Guinness way. Throughout every stage of the brewing process, the strive for perfection is constant. 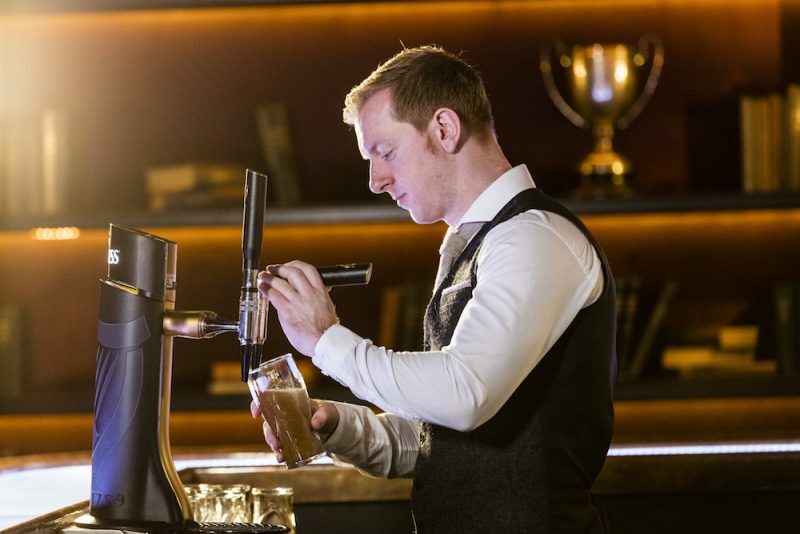 The two-part pour (and six steps method) ensures the barman produces a consistent pint of Guinness every time with the perfect taste and visual presentation. Always handle the glass by the base. Hold the glass at a 45° to the tap just below the spout. Shut off the tap when the Guinness is approx. 15-20mm (1⁄2” – 3⁄4”) from the top. Never put the tap spout into the Guinness. 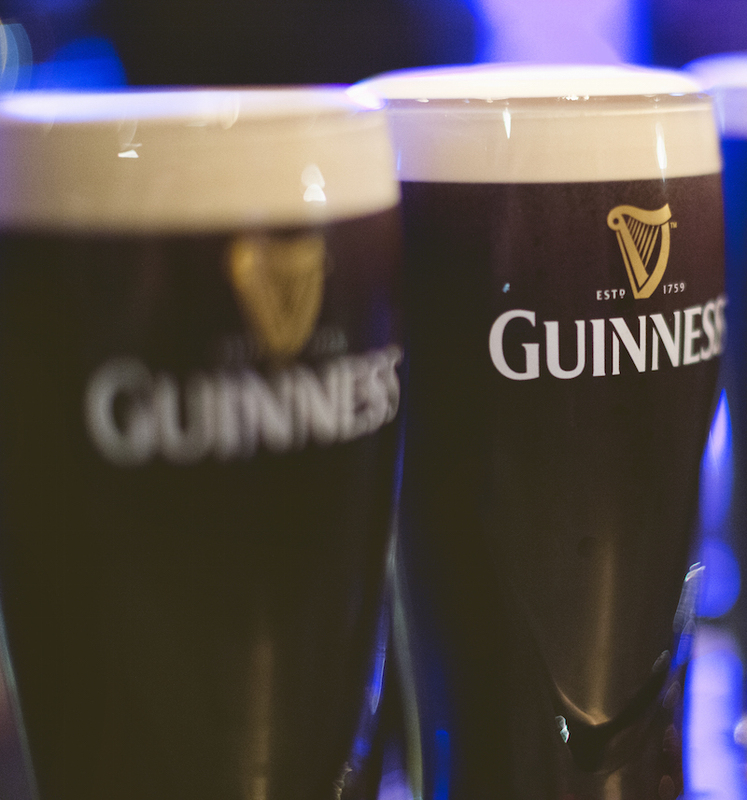 Allow the Guinness surge to settle. This takes approx. 2 minutes. Push the tap handle backwards and fill the glass so that the head is just proud of the rim. 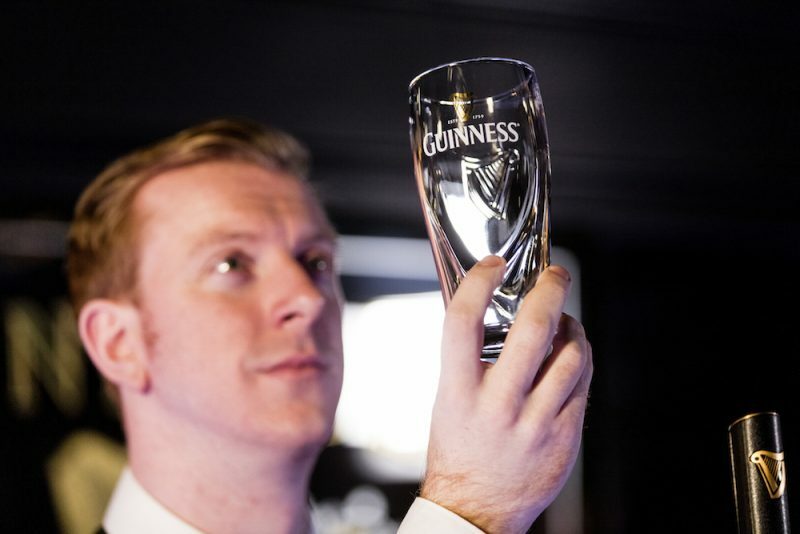 Present the perfect pint to the customer with a steady hand and no overspill. The wording “Guinness”, the brand, should always face the customer. Then, take a gulp big enough to break through the foam and get a taste of the beer below. 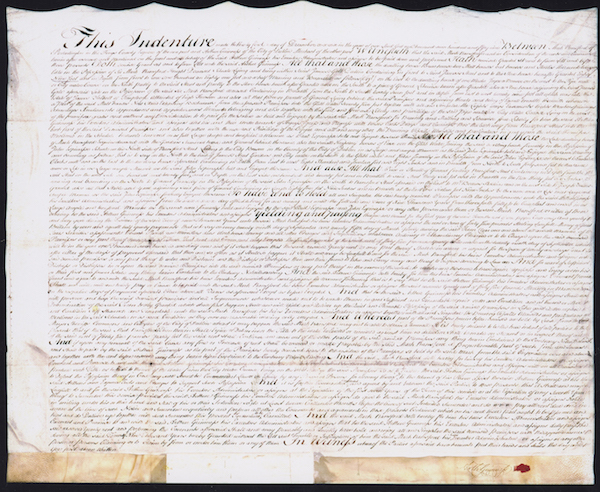 It is not true that the recipe for Guinness changes according to the country for which it is prepared. The recipe is always the same, all over the world. Are you heading to Dublin and do you need more information on things to do, where to eat and drink and tour you can organize? Write me an email or follow me on Instagram and Facebook and do not be afraid to ask for more information or a customized consultation!